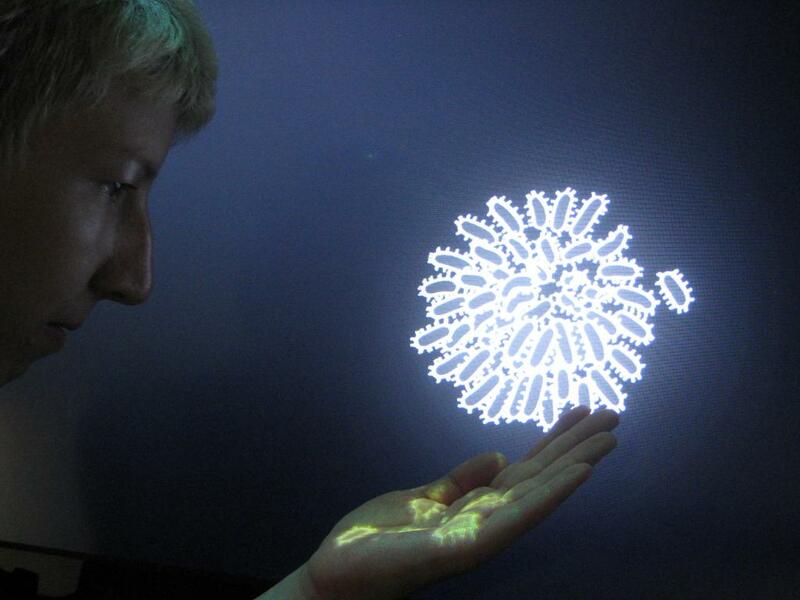 Sugrue’s interactive installation, Delicate Boundaries received an honorary mention from Vida Art and Artificial Life Awards and first prize from Share Festival. Delicate Boundaries explores our expectations and understanding of interfaces and interactivity, using reactive visuals and lifelike behaviours to create a playful environment. The illusions occur on several levels: first there is the illusion of the bugs leaving the screen; then through playful interactions, the viewer often projects their own interpretations and experiences. Some say they can feel the bugs crawling on them while knowing it is only light!